Give your fleet or race car the WOW factor! 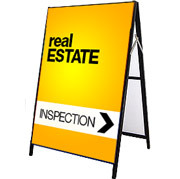 Clarke Signs specialize in high quality real estate signs & billboards. Pricing from $110 Installed! Clarke Signs specialize in high quality real estate signs & billboards. Pricing from $110 Installed! 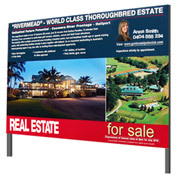 A-Frame Signs are a great, portable way to promote your business! Clarke Signs specialize in high quality real estate signs & billboards. Pricing from $110 Installed! Cheap and effective, full color printed corflute is available with quick turn around times! Clarke Signs specialize in high quality real estate signs & billboards. Pricing from $110 Installed! Clarke Signs was established in 1987 by Daryll and Irene Clarke. We have been involved in the making and manufacturing of all facets of the sign industry from design, construction and installation. 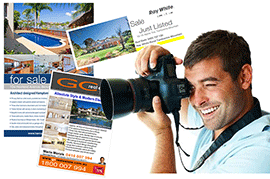 Every day we are inundated with requests for signs advertising different businesses and the needs.